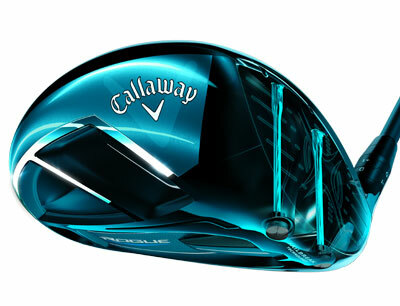 Great club for those of us that are familiar with Callaway. I replaced my Diablo Octane with the Rogue Sub-Zero and was instantly impressed. The feel of the ball coming off of the club was unlike any club I have had in the past. ConsAs all things, cost is always a con. Just remember, you get what you pay for. If you want to buy a cheap club, you get a cheap feel. This club looks great at a dress. The ball flies off the sweet spot like a rocket. ProsGreat looking as well as long. Early days but like the way the clubs feels. No adjustment needed. amazing club! minimun dispersion and real low spinn! It's a little tough to give an accurate review in the winter, but so far the club seems to be giving me more spin on my drives than my normal fade. ConsPerhaps too many options among the settings. Strange noise when hitting the ball took a bit of time to get accustomed to. I went to get fit for a driver, of the newest models I hit the Epic Flash the best but asked if they still had the Rogue Sub Zero. They did, I was so glad I get every bit as much ball speed and distance with this. Saved big money with last years model and got a great deal here. So happy with this driver. My natural shot shape is left to right with misses going typically right so I set it up for a draw bias out of the box. I missed left so putting it back to neutral has corrected the ball flight to nearly dead straight. My 104 mph measured club head speed matched up nicely with the 60gram Aldila Stiff Flex shaft. Very long, very forgiving, and a GREAT value from RockBottom @ $369. ProsLonger Carry. Super forgiving. Straighter ball flight. Simple adjustability. ConsAfter 4 rounds and 2 hours on the range THE ONLY criticism I can come up with is the "click" sound when you hit it. My Taylor had more of a ping sound when you hit the center of the club face. Had a chance to try this while on the course. I had just teed off with my Taylormade RBZ and hit a pretty good drive. This was handed to me and as soon as I hit it I could tell it was a 10. Balance felt great and the ball jumped off the club. I'm overseas where ability to check out equipment is limited, so I took a chance and ordered one. It arrived and I took both drivers out the next day (practice range closed). Never took the old club out of the bag. Ball went straight and long. Very happy!! I love the new Rouge driver. I got more distance and more accuracy with it.